Marin Lecithin – Oemine P.S.O. I. What is lecithin ? Lecithin is a generic term which is used to denote any group of yellow-brownish fatty substances found in animal and plant tissues. The word “lecithin” comes from the Greek word “lekithos” meaning egg yolk, where it was first discovered. It is an excellent emulsifier that allows mixing oil and water. Thanks to this ability to solubilize fats, lecithin plays an important role in intestinal absorption of fats, then their transportation and fixing in cellular membranes in the form of phospholipids. Foods containing lecithin include: eggs, milk, fish, cotton grains and soy, colza and sunflower oils. Foods containing lecithin include: eggs, milk, fish, cotton grains and soy, colza and sunflower oils. Lecithin is vital for the human body. It represents about 30% of dry weight of a human brain and 15% of nerves. It is the main component of all cell membranes, particularly red blood cells. Inside the cells it constitutes mitochondria (“cell’s lungs”). Therefore, it takes part in blood oxygenation and cellular respiration. Marine lecithin is more effective than soy lecithin because it is more similar to that of the human body. II. A new dietary supplement : OEMINE P.S.O. As lecithin can come from different sources, the fatty acid components in lecithin can vary from one source to another. For our dietary supplement OEMINE P.S.O. we chose marine lecithin extracted from wild herring milt and also called PC-DHA (phosphatidylcholine containing omega-3 DHA/EPA) because it is the most similar to the lecithin produced by the human body. It is a marine phospholipid concentrate that contains an active form of omega-3 fatty acid EPA/DHA. Therefore, it is more effective than lecithins from other sources as soy lecithin, for example. On the other hand, marine lecithin should not be confused with fish oils rich in omega-3. 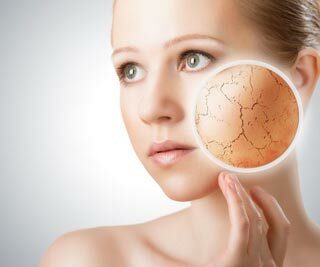 Marine lecithin is particularly beneficial for maintaining healthy skin. It solubilizes and transports omega-3s to the skin so that it could function normally as a protective barrier. It helps hydrate and regenerate essential fatty acids in the epidermis. Consequently, marine lecithin Oemine P.S.O can be used in case of all dermatological problems. It is not a medicine, so it can be taken by everyone who wants to have beautiful skin. It is good for dry, squamous and irritated skin as well as for the skin that loses its elasticity. In fact, cell membranes consist of phospholipids supplied by marine lecithin, which assure information exchange between cells allowing them to stick together and regulate their growth. This dietary supplement also contains iodine which contributes to the maintenance of healthy skin as well. The benefits of OEMINE P.S.O. are guaranteed if you take it for at least 6 months. III. Unique and controlled source. 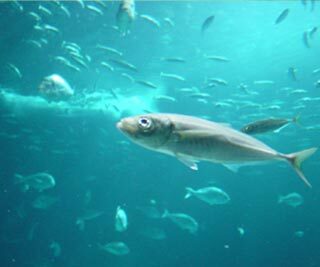 Oemine marine lecithin is extracted exclusively from wild herring milt that comes from certified sustainable fisheries. It is a carefully selected high-quality product. The marine lecithin used in OEMINE P.S.O. hard gelatin capsules and cream is pure*. It is not mixed with fish oils that could decrease its effectiveness. It is particularly rich in PC-DHA. It is presented in the form of powder associated with algae which reinforce its effect on the skin because they contain natural iodine. The stock is not overfished. Gradual reduction of carbon footprint. *Different dietary supplements claim nowadays that they contain marine lecithin or marine phospholipids. But in fact, it is often soy lecithin or egg yolk lecithin which is mixed with fish oil to make it look like the lecithin of marine origin. Thus, these products do not contain at all or contain little marine phospholipids and they are not concentrated enough to obtain desired dermatological effects. 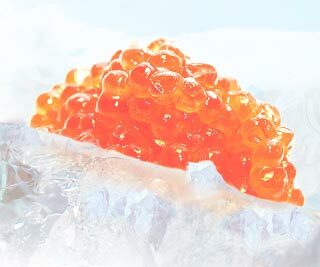 Our lecithin is extracted from wild fish roe that comes from certified sustainable fisheries. OEMINE P.S.O. is a dietary supplement. It is not a medicine, so you should not expect it to improve your skin very fast. You should take OEMINE P.S.O. for at least 6-8 months to have a noticeable effect. However, the first signs of improvement begin to be visible after 4 months of intake.